So I knocked out the rest of the strakes in between various obligations this weekend. 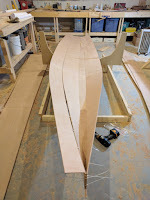 To get myself worked up for boat stuff, I drove up to the Maine Boatbuilder's Show on Friday to see what was happening. There were a lot of incredible boats there but not much in the way of sail and oar type stuff, except for Clinton Chase of Chase Small Craft. I had a nice conversation with him and really love his 16 foot Calendar Islands Yawl. I almost wish I had come across the design before the Apple 16, because it pretty much ticks off all the items on my list. Oh well, maybe next build (he mentioned he has an 18 footer in the works). 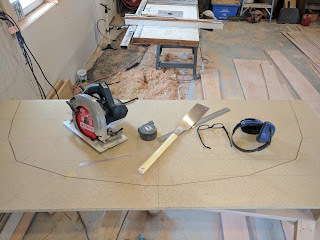 Anyway, I had really worked up cutting the strakes out to be a bigger chore than it turned out to be, but by doubling up the strakes for cutting I essentially halved the time it took to get everything rough cut. It went way faster than I thought and cleaning up all of the rough cut strakes only took about two or three hours with the low angle block plane. 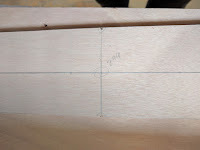 The only other thing I needed to do before beginning to stitch everything up was to epoxy a piece of 6 oz cloth along the forward end of the keel strake to keep the stitching from coming out because it is so narrow (as recommended by the designer). I forgot to take a specific picture of this but it's really straight forward. So this afternoon after work I found that the epoxy had dried along the strake and I had some time and no good excuse for putting it off any longer. The stitching is where the rubber meets the road so to speak, and any errors I may have made with the marking and cutting would quickly become apparent. I marked and drilled out holes at 200mm increments along the keel strake and the port and starboard strake 1 planks and along the plumb bow and started stitching. 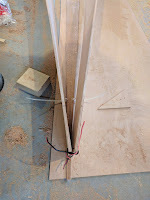 It was a mistake to stitch the bow together first (even though that is what the designer suggested), because it made joining the keel strake to strake 1. I eventually cut the bow zip ties and did that last... that worked much better. 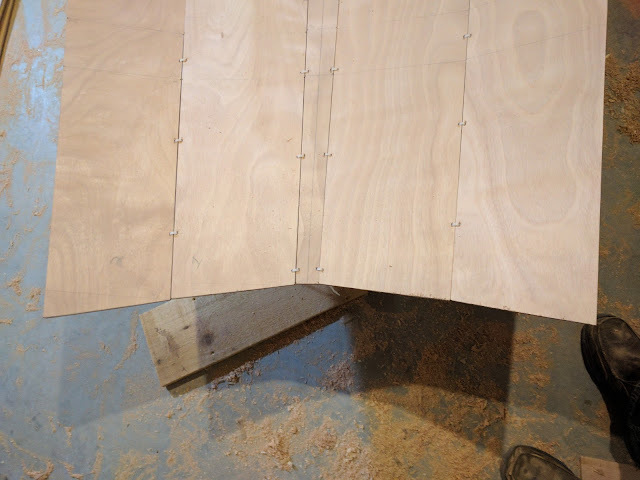 It was all very floppy and I found it difficult to keep it in shape so I decided to cut out the outside form for station 5 specified in the plans and attach it to two 2x6 to stand it upright and placed the stitched section in it and clamp it down at station 5. 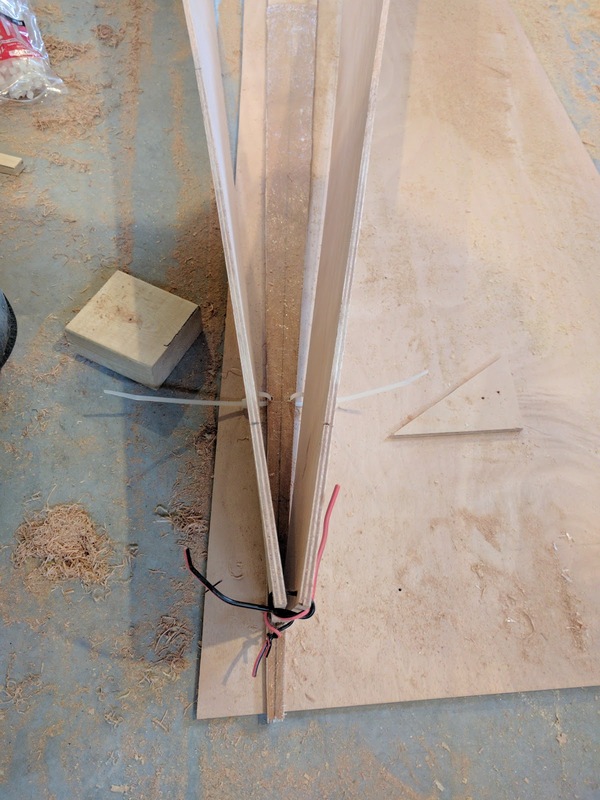 At this point things got much easier and I ended up screwing the port and starboard strake 1 onto the form to help hold the shape. 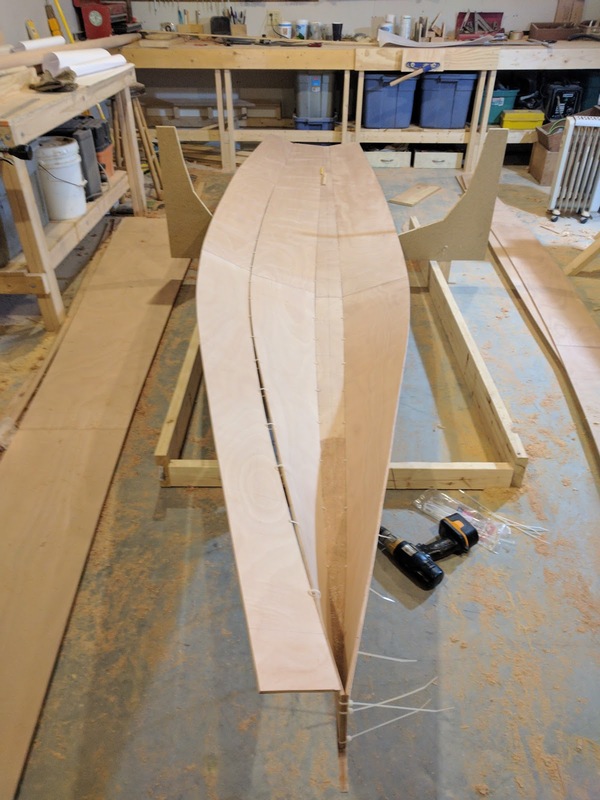 One nice thing about the design is it calls for the keel strake to be cut long and trimmed after everything is together. This makes the forward section meet up nicely. 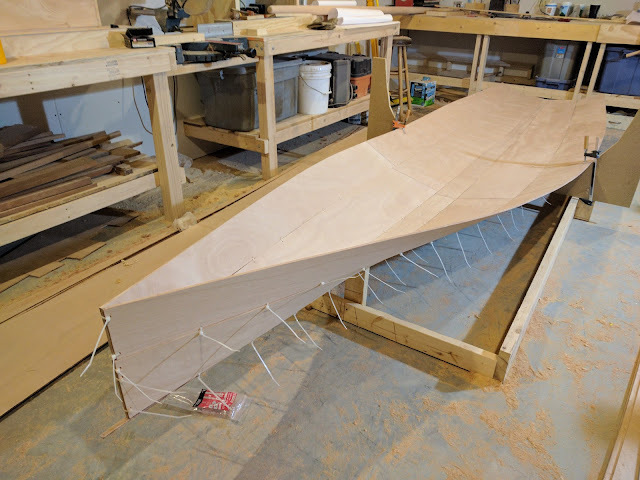 With all of that in place, stitching the second strake on was super easy and was just a matter of drilling out holes for the zip ties every 200mm and zipping them up going from stern to stem. Once I pulled everything tight the whole thing lined up really nicely with no gaps in any of the strakes and it all looks straight. So far, so good. Depending on how much time I have tomorrow I should be able to get a few more strakes stitched on. Coming along strong! Yeah, These multi-chine designs get fiddly.floppy awfully fast, makes sense to build a cradle. On the other hand, I'm against having the scarph in the same place right across the hull, seems like a good way to take an unplanned swim. Theoretically, it makes no difference, but staggered scarphs (gotta pre-plan in your layout, every other strake "upside down") just "feel" safer.